One of the biggest selling crime writers in the UK is Martina Cole, but she hasn’t become the staple of the bestseller charts overnight. Martina came from very humble beginnings and has worked hard all her life raising her son and writing urban thrillers which have attracted a loyal following. This year Martina Cole is even busier as she launches a new TV series ‘Martina Cole’s Lady Killers’ as well as the ‘Martina Cole’s Girl Gangs’ and has her new novel ‘The Business’ released this month. Predictably ‘The Business’ has hit the No 1 spot in the UK hardcover charts. 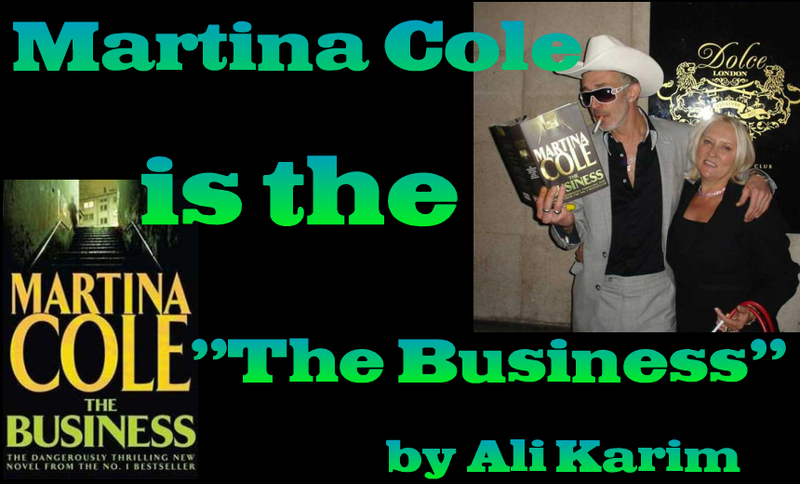 Martina’s publisher Headline Publishing’s Managing Director Martin Neild, and her Agent Darley Anderson decided to celebrate the launch of ‘The Business’ at Dolce – an exclusive club in Air Street just off Piccadilly Circus. Joining in the celebrations were Alt-Country Rock band ‘Alabama-3’ who ensured the party went with style. The event was packed with Martina’s friends, her colleagues from Headlne Publishing, film and TV. Unfortunately Mike Stotter was ill so I ventured into this exclusive party with just my camera for company. Luckily, I spotted friends Wayne Brooks and Thalia Proctor as well as the Crimesquad Team fronted by Chris Simmons to toast Martina’s success. Martina is very loyal to her friends and colleagues. She thanked Mike Stotter and I for all the support Shots Magazine has given her over the years. If you’ve never read Martina Cole, you’ve got a lot of great reading ahead of you because when it comes to tough urban thrillers with a heart – Martina Cole is The Business.